DELTA, a globally leading supplier of retroreflectometers for measuring retroreflection of pavement markings and traffic signs, increases its focus on airfields. DELTA has more than 30 years of history in supplying its retroreflectometer instruments into the road segment, the most recent models being LTL-M, LTL-XL, LTL-X Mark II and RetroSign GRX. Known for robust and user-friendly instruments DELTA has supplied its instruments to more than 75 countries world-wide. DELTA did in 2011 launch its mobile retroreflectometer LTL-M, and over the years it has become the leading brand for roads with almost global presence. LTL-M is still the most modern retroreflectometer available in the market and has proven to be a preferred choice by many road agencies as well as private companies. A key feature of LTL-M is its ability to automatically compensate for movements of the vehicle during driving, ensuring measurement accuracy in line with hand-held instruments, a level of performance not found using other mobile brands. Furthermore, LTL-M is very user friendly and flexible, also when it comes to choice of vehicle. Hi-Lite Airfield Services, LLC has exclusively used DELTA’s mobile reflectometer, the LTL-M, on airport surveys of markings and has been experiencing great things. Hi-Lite has created a buzz in the aviation industry initially in North America, showing the capabilities of the mobile reflectometer and what it can accomplish at airports. The use of the reflectometer for Hi-Lite has revolutionized the industry in a way which will increase the rate in which assessments of airfields can be completed. Reflectivity of markings is key to pilot visibility both while landing and traveling throughout the airfield, and if reflectivity is poor, it is a serious safety concern. 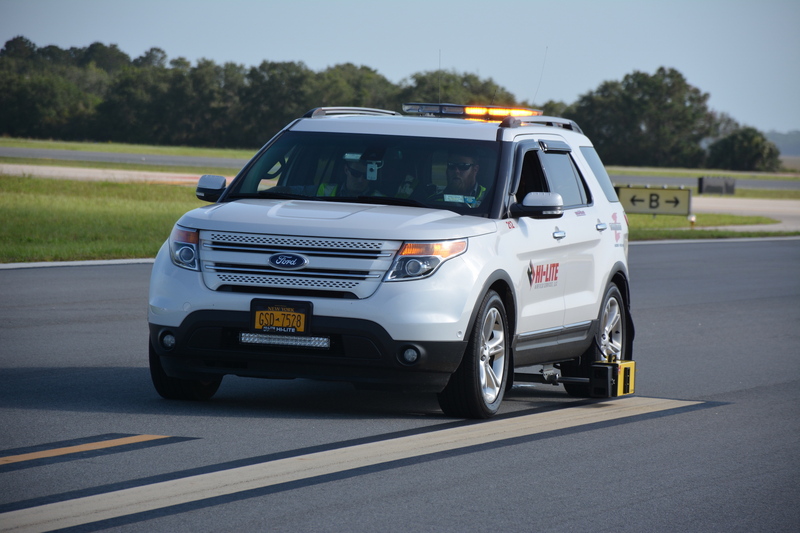 Hi-Lite uses DELTA’s LTL-M when completing airfield assessments at airports throughout the entire world to ensure airfields are as safe as possible for the traveling public.